On behalf of the further education and skills coalition, we bring you an updated view of UK digital practice in FE and skills in the post-FELTAG decade. How can digital technology help you achieve a truly transformative student experience? How do you develop the strategic vision, practices and infrastructure to make that happen? We have asked a selection of UK learning providers to tell their digital breakthrough stories, adding in points of guidance from their experience to help make your digital journey a smoother one. Taking up the digital challenge is never easy, but providers with success stories to share can offer insights into how to transform strategy, policy, practice and culture. Some short, some more detailed, our case studies have been organised into six sections to help you get the most from the digital revolution taking place in the further education and skills sector. Effective practice, like technology, is constantly evolving so we continue to encourage you to share your examples of effective practice with digital technologies. Strong leadership and a clearly articulated vision for the use of technology continue to be hallmarks of a digitally capable organisation. The ability to realise your organisation’s digital ambitions is especially important when a reorganisation or merger is planned. As a result, a senior member of staff with broad influence needs to assume overall ownership and responsibility for ensuring the vision is translated into practice. Without this clear-sighted leadership, your organisation could miss out on the benefits technology brings - the efficiency gains, the improved appeal for younger learners and the increase in creative learning and teaching that our case study organisations tell us they have experienced. But digital leaders cannot act alone. Success depends equally on collaboration, communication and an open and responsive organisational culture. Creating a culture that enables others to innovate is a very special skill indeed, as our case studies show. Read our senior managers’ thoughts on what it takes to become a digitally capable organisation. You will find further senior manager interviews under the different strands. David, 2017 TES FE leader of the year, believes college leaders have a duty to pay more than lip service to technology. An early adopter of Twitter and Google Apps, he says senior managers should set an example by using up-to-date digital technologies themselves. Read more from David (pdf). Despite the impact of funding cuts, Debra believes good digital leadership still holds the key to achieving excellence. To succeed, colleges need to take advantage of the business efficiency gains and innovative learning potential that technology offers. Read more from Debra (pdf). Our case studies give an insight into the steps providers have been taking to embed their strategic vision across the whole organisation. Forth Valley College’s commitment to "making learning work" lies at the heart of its strategic plan to 2022. Just like a well-balanced ecosystem, the college’s aim is for an environment in which systems and infrastructure, culture and practices function in harmony to produce the best quality outcomes for learners. Learners lie at the heart of everything the college aims to do. This vision for a high-quality learning experience began in 2014 with a business transformation strategy which introduced SharePoint - a single, college-wide platform giving staff and students on different campuses uniform access to information and services. At the same time, a custom-built business management system provided managers with instant access to data for decision making and curriculum planning. Principal and chief executive, Ken Thomson, believes that getting the digital infrastructure right is the first step in the drive for transformation. Once everything you need for decision making is just a click away, he says, you have time to focus on people and practice. Leaders, however, will need a grasp of everyday practice to ensure digital can really become a "force multiplier" for learning. In a rapidly changing world, there can be no final destination as the environment in which technology plays its part continues to evolve. Digital is just one part of an ecosystem in which all the elements must operate in tandem to achieve the goal of making learning work. Read more from Ken (pdf). A major challenge for education and training providers comes from keeping pace with the advanced technologies now used in industry. Consequently, many providers are developing new, more efficient and effective digital solutions for workforce training. But securing the funding for high-tech training facilities can also mean acquiring new entrepreneurial and collaborative skills to enter into partnership with industry and other agencies. To this end, Grimsby Institute Group has appointed a bid-writing team to seek out and secure the innovative partnerships that will keep the college at the cutting edge of technology-enhanced learning. Joint ventures of this kind benefit all concerned. Not only do businesses have the advantage of a trained workforce on their doorstep, but providers also gain knowledge and experience from working with national agencies and leading industry partners. Learners, of course, benefit from world-class facilities funded by a larger pool of resources. An example of a high-tech learning environment that could only be achieved through partnership working is Modal Training, a £7 million training centre developed by Grimsby Institute in association with key agencies. The centre uses advanced simulators to create tailor-made training scenarios for the maritime, offshore, ports and logistics sectors. 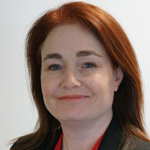 Debra Gray, deputy chief executive of the Grimsby Institute Group, argues that a culture that is “tuned into” innovation is key to achieving entrepreneurial success of this kind. Where the skills cannot be found in-house, forward-thinking managers need to buy in skills in bid-writing and negotiation to keep abreast of industry requirements. The achievement of effective digital practice in learning and teaching depends on having the right resources and support in place. To start its digital journey, Belfast Metropolitan College set up a technology enhanced learning (TEL) team. Their job was to produce a holistic framework for digital learning and teaching, deliver training and to advise college management and individual departments on the best technology for their requirements. The TEL team realised that the college’s digital goals would be achieved more quickly if the learning management system (LMS) and other vital technologies were easier for staff to use. Although challenging at first, as exemplified in this case study, a change of platform is sometimes necessary to achieve a provider’s digital goals. However, changing systems increases the need for a rolling programme of training (preferably badged or certificated) to ensure all staff can use these core technologies effectively to enhance learning. Read the Belfast Metropolitan College exemplar in full (pdf). Leading providers report that learners engage better with the curriculum if digital activities are embedded in their learning and assessment, especially if those activities add to their employability. The beneficial impact of effective use of educational technology is also being increasingly recognised through national awards and regulatory and inspection bodies such as Ofsted. Despite these advances, our digital experience insights survey 2018 shows that some staff across the sector still lack competence in digital learning and teaching, and nearly a third of the FE and skills learners in the survey wanted digital technologies to be used more on their course. If you are keen to break through the barriers that limit your students’ learning experience, the narratives in this section contain a range of ideas and examples to follow. 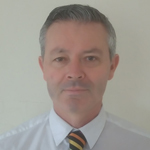 Simon has a passion for the use of information technology to enhance learning and teaching. In his role at Portsmouth College, he has led an initiative to introduce iPad minis into classroom learning, opening up opportunities for personalised learning and innovative teaching. Read more from Simon (pdf). Follow Simon on Twitter @PortsmouthColl. These case studies highlight initiatives that harness the power of technology to breathe new life into learning. Solihull College and University Centre was shortlisted for the 2018 TES FE award for outstanding use of technology for improving teaching, learning and assessment. In the three years leading up to this award, managers and learning technologies staff had worked hard to embed flipped and blended learning on all further education courses. In 2017, the college opened a new high-tech virtual reality (VR) lab to support a degree course in games design and VR. Managers and teaching staff were quick to grasp the potential offered by the lab’s innovative technologies to engage a far wider range of learners. Read the Solihull College and University Centre exemplar in full (pdf). Basingstoke College of Technology (BCoT) has tackled the challenge of English and maths GCSE resit classes with the help of its award-winning team of student digital leaders and apprentices. Learning technologist apprentice, Charlie Lécuyer, and student digital leader, Ami Whitmarsh have collaborated with teaching staff to develop revision websites for these core subjects. Launched in 2018, GCSE BCoT maths and GCSE BCoT English are now enabling young learners to master the tools of their trade, test their skills and manage their revision from any location, on any device. Aware of the difficulties learners can experience with formal curricular learning, BCoT’s student designers emphasise that a combination of moving images and a gamified approach can benefit all learners. Charlie Lécuyer argues that young people learn differently so need a different approach to course design. For these learners, "chalk and talk" should give way to interactive activities. Games, video clips, drag and drop exercises and self-assessment activities capture their interest, while quizzes allow them to take charge of assessing their own progress. The resources also free up class time, allowing teachers to focus on more difficult aspects of the curriculum. BCoT digital team leader and innovations specialist, Scott Hayden, says tapping into the expertise and experience of learners to assist other learners aligns with the college’s overall vision for learning and teaching. It is a strategy that also lies at the heart of the FELTAG vision. An innovative high-tech space at Dundee and Angus College, known as the Learning Lab, brings staff and learners together to experiment and innovate with the latest technologies. The choice of devices and applications on offer at the Learning Lab ranges from time-lapse cameras and programmable cars to drones and 3D printers. While the emphasis is on playful exploration, the real purpose of the space is to increase confidence and understanding of technology among teaching staff, so that the benefits of digital can be felt across the curriculum to enhance learners’ engagement and employment prospects. For Dundee and Angus College, this is a natural extension of what learning and teaching in FE and skills is all about. Read the Dundee and Angus College exemplar in full (pdf). By issuing iPads equipped with apps for learning, Harlow College is well on its way to enabling its students to become independent, IT-savvy and well-equipped for the world of work. When first rolling out the devices to staff and learners, college leaders concentrated on embedding one selection of apps before moving on to the next carefully selected "bundle". Learners are also free to download their own apps, within acceptable parameters, although paying for these (where necessary) is the responsibility of the individual. The ultimate aim is to support all learners in developing their own digital learning environments. Initially piloted in two curriculum areas, the iPad scheme has proved a success with learners and teachers and the devices are now provided to every full-time learner on the college’s FE programmes. Read the Harlow College exemplar in full (pdf). The extent to which technology now pervades every aspect of everyday life means that more and more organisations are giving a high level of priority to building the digital capabilities of students and staff. Our work with the sector shows that staff who are confident about designing digital activities are more likely to enhance the life chances of their learners. As shown in our student digital experience tracker 2017 report, learners in FE and skills find it easier to understand topics and become more independent in their learning when digital technology is used on their courses. Our case studies also show that learners with advanced digital skills can contribute effectively to building capacity in their peers and teachers, but providers still have to recognise the needs of the wider student body. Not all learners have access to, or are able to use, technology for learning, so inclusivity and accessibility need to be at the heart of any strategic drive to enhance digital capabilities. Jamie has more than 20 years’ experience in education, specialising in strategy, innovation and technology-enhanced learning. 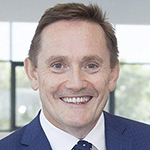 He says that South Staffordshire College is adapting to meet the changing needs of learners and employers in the digital age by adopting a "digital by default" strategy. Read more from Jamie (pdf). Here are some examples of how providers are supporting staff to acquire or improve their digital capabilities. Some have made strides forward by enlisting the support of skilled learners and peers. Others have focused on embedding an understanding of blended learning at the very heart of the organisation’s culture and practice. Technology is central to Milton Keynes College’s ambition to offer the best educational and collaborative opportunities for its learners, communities and business partners. But the college’s digital aspirations extend even further. Situated midway between the high-tech hubs of Oxford and Cambridge, Milton Keynes sees a potential role as a national leader in the development of digital capabilities. To be at the heart of the region’s economic growth, technology is becoming embedded into every aspect of college life. Consequent improvements in the digital and physical infrastructure have set in motion a parallel drive to update staff and student digital literacy skills. This case study reveals the journey the college has taken towards full digital capability. Read the Milton Keynes College exemplar in full (pdf). The Digital Voice Xperts (DVX) scheme at Epping Forest College allows learners to contribute their own knowledge and skills to develop the digital capabilities of their peers and teachers. In this innovative scheme, DVXs have used their expertise with digital media to create presentations, web pages and videos outlining how important it is to use online tools creatively, effectively and safely. As a DVX, a learner can expect to gain work experience and employability skills while the college benefits from the enthusiasm and skills only students can bring to an initiative. Read the Epping Forest College exemplar in full (pdf). South Eastern Regional College (SERC) is a multi-campus college in Northern Ireland that has taken a centralised approach to quality enhancement, curriculum design, and data management. As a result, the college has a "one-college, one-course" philosophy applied to their Moodle course page design, but managers have also found digital communication tools provide valuable encouragement to staff. Two initiatives, Moodle Mondays and Webinar Wednesdays, use a webinar platform to share good practice. Recordings are shared via SERC’s media channels, and social learning takes place through the Yammer network. These additional channels give staff access to informal peer learning and support at a time and place to suit them, helping to ensure the whole college moves forward together. Read the SERC exemplar in full (pdf). The 2016 pilot of a student digital ambassador programme at City and Islington College left no one in any doubt that the initiative would play a key role in driving digital innovation at the college. Since the launch, student digital ambassadors, known as SDAs, have successfully designed and delivered digital skills workshops, researched and evaluated apps and platforms, run focus groups and provided guidance and feedback to teachers on the use of edtech in learning, teaching and assessment. Further examples of their work, much of which is documented on the team’s Teach Learn Digital blog, includes creating interactive 360° crime resources for forensic science students. Just as Epping Forest College found with its pioneering DVX scheme, student digital ambassadors (SDAs) at City and Islington are gaining skills and confidence through the scheme that benefit them when applying for work or further study. Running a training workshop, participating in formal meetings and working in teams on small-scale projects – these are just some of the achievements SDAs can add to their e-portfolios, CVs or LinkedIn profiles. Having established the value of the student scheme, a corresponding staff digital leader network followed in autumn 2017. Accessibility at the heart of every learning design is the goal of James Donaldson, head of additional learning needs (ALN) and wellbeing at Cardiff and the Vale College (CAVC), a concept he describes as "universal learning design". Essentially, this means making full use of the tools and platforms available to you to "design in" accessibility at source. Once this is established as the norm, fewer adjustments need to be made for individual learners, saving time and effort in the long run. The ALN team at CAVC ensure staff take full advantage of Microsoft 365 to make universal design a reality across the college, but emphasise that any edtech can be a game changer for learners with additional needs. However, nothing can be achieved if teachers do not know how to use the technology at their disposal. To tackle any potential skills shortage, the ALN and e-learning teams work closely together to create courses that enable staff to design inclusive learning. Their approach to training is inclusive too – managers, business staff and support staff undertake the training programme alongside teachers. Badges on completion demonstrate knowledge and understanding of good learning design. With the tools and the training in place, all learners entering the college can now expect to meet the same universal provision. This can include their parents as well – the college offers summer schools for friends and family to bring everyone up to speed with the enabling power of technology. Take a look at James Donaldson’s top five apps for universal learning design. Plumpton College, a land-based provider in Sussex, prepares its learners for the workplace by blending technologies, including virtual reality (VR) tools, into learning and teaching alongside its more traditional practice. To help staff understand better how the tech could add value to their courses, the college’s learning technology team have put five blended learning models to the test with funding from the Education and Training Foundation’s outstanding, teaching, learning and assessment programme. Their project, practical blended learning: evaluating the use of technology in vocational teaching, has enabled the college to move forward with confidence towards its goal of delivering high-quality blended learning on all courses. Read the Plumpton College exemplar in full (pdf). Growth in the use of digital technologies to prepare learners for employment has been a striking development in recent years, prompted by wider availability of virtual and simulation technologies and improved understanding of gaming as an educational tool. Training providers and employers are also making greater use of communication and business management technologies as they grapple with major reforms to the funding and delivery of apprenticeships. But providers in general have recognised the importance of thinking out of the box when it comes to the digital capabilities learners need for employment. Being work-ready today means much more than just achieving a qualification – a range of additional attributes and skills can be acquired while learning with digital technology. Here are some examples of the way digital technology is enabling the world of work to enter directly into the classroom and training environment. Formed in 2010 from the merger of three colleges, City of Glasgow College is committed to providing education and training that is wholly fit for purpose for the industries it serves. Douglas Morrison, director of the Scottish Institute of Innovation and Knowledge Exchange and the college’s STEM and innovation lead, has seized the opportunities offered by digital technologies to change learners’ perceptions of one STEM industry, construction, through a recruitment and management simulation game called Construction manager. In doing so, his aim is wider than simply making on-course learning more engaging. The reach and power of technology can be a real game changer, he believes, for an industry with a longstanding skills shortage. Read the City of Glasgow exemplar in full (pdf). Goole College, part of the Hull College Group, has found technology-enhanced learning can prepare learners for the workplace at the same time as improving their learning potential. Virtual welding is a software application that is enabling learners on NVQ and BTEC engineering courses to progress faster towards their employment goals without the usual health and safety concerns and budgetary problems. The virtual alternative to welding makes training enjoyable, risk-free and even accessible to younger learners on the college’s 14-16 programme. In addition, the college uses the Hull Group’s employability passport scheme to help all learners acquire the wide range of skills needed in the workplace. Accessed via learners’ e-ILPs, the passport aligns with the Confederation of British Industry’s key employability skills to ensure learners leaving Goole College have a head start in the workplace. Read the Goole College exemplar in full (pdf). Mobile and video technologies are being used to boost the confidence and employability of students with disabilities at Portland College, an independent specialist college for students aged 16 to 25. Believing that mobile technologies would have a range of benefits in this context – such as helping students to become independent learners, finding out and memorising information for themselves, and putting into practice new or rediscovered skills – the college introduced a project in 2016 to widen the use of mobile devices in learning and teaching. The college’s farm became the focal point for the project but mobile devices have since found a wide range of applications across the college. Read the Portland College exemplar in full (pdf). A pioneering project, Flavours of Reality, led by Grimsby Institute Group, has brought innovative mixed reality technology into workforce training. Using Microsoft HoloLens technology, Flavours of Reality (under development in 2018) simulates a modern food and drink manufacturing environment to enable seafood retail companies to train staff more swiftly and effectively in the skills and knowledge the industry needs. HoloLens enables film and audio captured from a real food processing line to be overlaid with 3D rendered holographic information to create an immersive experience that can blend with the real world. Cameras integrated into the headsets mean that users do not lose awareness of their surroundings so are able to interact with groups or objects around them at the same time as investigating the 3D content. The result is a richly diverse, exploratory learning experience. Although HoloLens has been used previously in medical training, Flavours of Reality is an entirely new application. Created with funding from Ufi Charitable Trust, it involves industry partners Seachill UK Ltd, a supplier of chilled and coated fish to retail and commercial markets, and Seafish, an organisation promoting a sustainable future for the seafood industry. The project team working on the app’s development are finding that a mixed reality learning experience (known as "untethered learning" because of the ability to move freely while undergoing training) could go a long way towards meeting the food industry’s requirement for effective, high-volume training of operatives. It is hoped that this rich, sensory form of learning will prove an engaging and cost effective alternative to "chalk and talk" classroom and workplace tuition in other contexts too. Technology today is having a significant impact on assessment and management of student learning particularly through electronic management of course and student data. Predictive analytics displayed electronically on a dashboard, for example, give vital early signs of individuals, groups or courses at risk so that preventative action can be taken. On a wider scale, being able to collect and collate accurate performance data during the academic year can help an organisation plan "smarter" for the future. Just as technology is changing the way people study and work, it is also having an impact on the way learners experience assessment and feedback. A more creative, digitally enhanced approach to assessment design is enabling learners to pick up skills and attributes that improve their employability, while also deepening their engagement with curriculum content. Social media, for example, can be harnessed effectively to obtain expert feedback from outside the class and organisation. Students taking a degree in education studies at Blackburn College’s University Centre develop a critical approach to the selection and use of edtech through the assignments they complete. Peter Shukie, digital innovation lead at Blackburn College’s University Centre, believes that in an educational setting decisions about the choice of technology should formed not by availability or cost considerations but by informed decisions about what is best for the purpose, context and type of learners. To develop this understanding in his students, Peter has used an "interactive essay" design successfully for a number of years. The assignment is in two parts, both different to standard essay-based assignments. Firstly, students use anything other than the written word to explore a topic of their choice. Encouraged to think about which format would best present that topic, students can opt for video, animation or their own choice of multimedia to create the assignment. The second part is delivered through a series of workshops. Students experiment in these with different technologies to make presentations about their topic, both to each other and to a wider network of contacts they have established themselves through social media. Employability and critical thinking skills enter in at every point. For example, sharing the essay for formative feedback from their network of contacts involves thinking about issues such as the ethics of sharing content with different groups of people, and how to alter the style of approach according to the audience they are addressing. Learners on a level 3 BTEC extended diploma in creative media production at Basingstoke College of Technology (BCoT) are given accounts for social media and blogging tools so that they can publish targets and discuss, share and critically evaluate their own and others’ work from week one of the course. BCoT staff have found this innovative approach rapidly establishes a learning community in which learners gain vital experience of the peer-to-peer feedback commonly occurring in the media industry. Via social media, students can also receive feedback on their work from other countries, inspiring them to higher levels of achievement. Read the Basingstoke College exemplar in full (pdf). With over 500 apprentices, ISA Training is the largest, privately-owned, work-based learning provider of hairdressing and beauty apprenticeships in Wales. To increase the flexibility and efficiency of its provision, ISA Training has adopted City and Guilds’ Learning Assistant e-portfolio system and has taken steps to upskill its staff and apprentices in digital literacies in order to make the most effective use of the technology in delivery and assessment of standards. Read the ISA Training exemplar in full (pdf). Barnsley College’s level 3 and 4 diplomas in digital learning design are delivered in one year, enabling apprentices to be employed alongside their studies in the college’s own digital learning design company. An efficient approach to assessment is particularly important as full-time apprentices at level 4 have little time to complete additional assignments or learn to use college-owned tools, so the apprentices on this course present the work they have completed for the company as evidence for assessment. Using Google Apps as an e-portfolio tool also prepares them for technologies they will use in the workplace. Daniel Scott, former course leader and winner of the 2016 Association for Learning Technology (ALT) learning technologist of the year award. Read the Barnsley College exemplar in full (pdf). Learning providers are taking steps to ensure their learners have the same access to learning resources and information wherever they log in including via their own devices. The design of the physical campus, and the facilities the organisation provides, are both changing as a result. Wifi bandwidth and coverage is of key importance in this flexible model of learning, but consideration must also be given to personal cloud storage and integrated use of social media as part of an expanded and enhanced student digital learning environment. Where online learning provision has been underutilised, many providers have taken the bold decision to switch learning platforms and systems. Some have taken advantage of the free tools provided by G Suite for Education, with affordable Chromebooks and the storage capacity of Google Cloud as added benefits. Others have opted for Microsoft 365, Apple or Canvas. In all cases, organisations report improved take-up by learners as first-generation virtual learning environments (VLEs) give way to more intuitive digital platforms. Just over the horizon is the ability to capture and analyse the data collected across the campus to make more effective use of learning spaces. By analysing when and how rooms are used, for example, organisations will be able to make smarter, more effective use of learning spaces and other facilities. The intelligent campus is on its way! Graham explains how important it is to ensure all users in a multi-campus organisation have the same consistent, reliable access to learning resources and essential data. Recent mergers mean that the college has set its priorities on providing smooth, seamless access to the IT infrastructure on all sites. Read more from Graham (pdf). Follow Graham on Twitter @GrahamRazey. Digital technology is improving the student experience, both on and off campus, in a number of ways. Our case studies provide insights from the frontline of digital infrastructure enhancement and its impact on learners. In 2016, Doncaster College and University Centre’s academic services took over the development of My SOLE, an in-house online tutorial programme for full-time learners. Initially, their efforts were focused on creating content on the virtual learning environment (VLE), Blackboard. However, subsequent use of our student digital experience tracker survey revealed that many learners were accessing learning resources via their own devices. Sarah Crossland, Doncaster College’s academic services manager, explains how this influenced her decision to switch the service from Blackboard to Google’s G Suite. Read the Doncaster College and University Centre exemplar (pdf). The FELTAG challenge for 10% of the core curriculum to be delivered online lies at the heart of the decision by the Isle of Wight College to adopt cloud-based Microsoft Office 365. With the addition of LMS365, a learning management system supplied by Microsoft partner ELEARNINGFORCE, and a drive to embed a bring your own (BYO) policy, college managers are making online learning the norm on all college courses. Read the Isle of Wight college exemplar in full (pdf). The FELTAG report challenged colleges and skills providers to achieve a 10% wholly online component in all their programmes. Heart of Worcestershire College has broken through that target and expects to double the size of its online course components in several key areas in the near future. Read the Heart of Worcestershire College exemplar in full (pdf). Bolton College’s Ada, a cognitive assistant for students, teachers and support teams, is part of a new wave of intelligent computing services revolutionising the way colleges interact with their learners. Aftab Hussain, Bolton College’s strategic ILT leader, says conversational services such as Ada provide a multifaceted service, any aspect of which can become as fundamental to successful education and training as the proverbial light switch. With speech-to-text and text-to-speech capabilities built in, Ada is already proving capable of answering questions on campus and learning-related topics with a high degree of accuracy. To take it further, Ada is learning to respond to questions on the college's online employability course by using their adaptive learning environment to deliver personalised, contextualised learning and assessment materials direct to learners. Previously the sole domain of campus-based educationalists, the service may even provide automatic marking of long-form text. For Bolton College, the future is definitely conversational. Read more from Aftab’s blog. When so many think of distance learning as long hours on the computer with minimal support, Weston College has a very different approach to its online adult education. Hattie Abretti, the college’s digital learning development manager, believes that effective use of technology can provide a learning experience that is every bit as rich as that of campus-based learners. Making full use of Canvas, a cloud-based virtual learning environment (VLE) and web conferencing, her team ensures that the college’s many adult online learners can just as easily engage with learning content, their tutors and each other. Arc, an interactive video platform embedded in Canvas, is a key ingredient in the mix. The tool enables learners and tutors to add comments on the timeline as a video plays, so that learning from interaction with others can occur in real time just as it would in the classroom. Presentations delivered via web conferencing provide the additional option of playback – essential for learners unable to participate at the scheduled time. The final ingredient for a lively, effective learning experience comes from an active community forum. Hattie says getting online adult learning right is a simple matter of paying attention to quality. The technology is there to enable any provider to offer adult distance learners a fully interactive experience. The Real Apprenticeship Company (TRAC) has embraced digital to the extent that apprentices working for them experience a journey that is 100% paperless. In 2011, existing systems were struggling to cope with the growth in numbers. TRAC found available recruitment systems "clunky" so they set out to design their own. An experienced developmental task force was established which included staff and representatives of awarding organisations. The goal was to design a system whereby data is entered once and follows the apprentice throughout their journey. The result is an end-to-end web portal called "The Real Academy" that collates every aspect of apprentice, employer and programme data for funding, inspection and programme requirements. The Real Academy system starts collecting personal data when an apprentice applies for a vacancy. TRAC staff complete the individualised learner record (ILR) data when the apprentice is taken on and details of the learning to be undertaken to meet the standard are populated automatically. After a paperless induction, apprentices go on programme learning as set out in their digital individual learning plan (ILP). The system drives dashboards that apprentices, managers and employers can view of apprentices’ progress in both time and achievement through the programmes. All employers receive training in how to use the system and have profiled access to The Real Academy. The portal can be used off line and then synced online to support apprentices who work in environments that don’t have, or don’t allow, web access. Read more in our apprenticeships toolkit. I am a consultant author on e-learning and assessment.